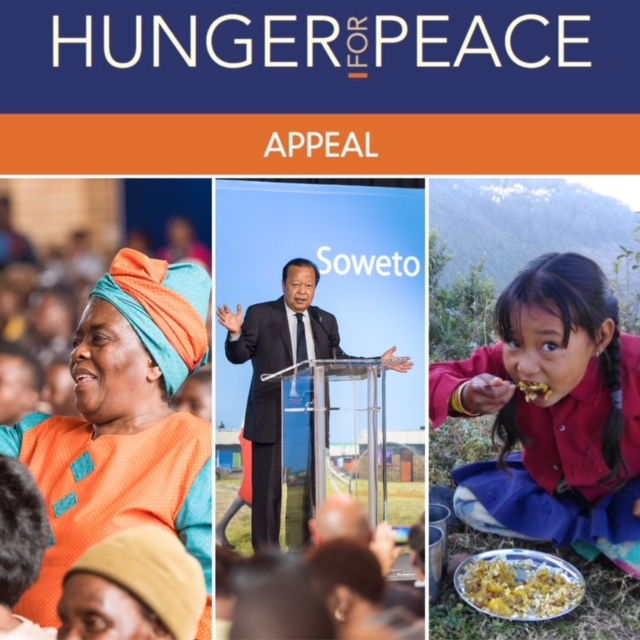 Donors showed generous support for The Prem Rawat Foundation (TPRF) during the “Hunger for Peace Appeal,” raising $162,824 for signature initiatives such as the Peace Education Program (PEP) and Food for People (FFP). “Many thanks to each one of you who donated and volunteered to make this appeal such a success!” says TPRF President Daya Rawat. “Light Behind Bars” chronicles the transformation of incarcerated women in Tires, Portugal as they participate in the Peace Education Program and try to come to terms with the devastation of their past actions. It was produced independently by Rádio e Televisão de Portugal, the public service broadcasting organization of Portugal, which has shown it on television affiliates throughout the country. UPDATE: Donors Bring New Era Appeal Total to $200,000! Donors from around the globe recently showed overwhelming support for The Prem Rawat Foundation (TPRF), contributing U.S.$200,000 during the year-end Welcoming a New Era Appeal. The enthusiastic response far exceeded the goal of raising U.S.$150,000, putting the charity in a stronger position to fulfill its mission of helping people live with dignity, peace, and prosperity. As people around the world greet the new year with high hopes, The Prem Rawat Foundation (TPRF) has received more than 4 million views for its “Peace Starts Here” video, which presents an empowering vision of building a world at peace, one person at a time.